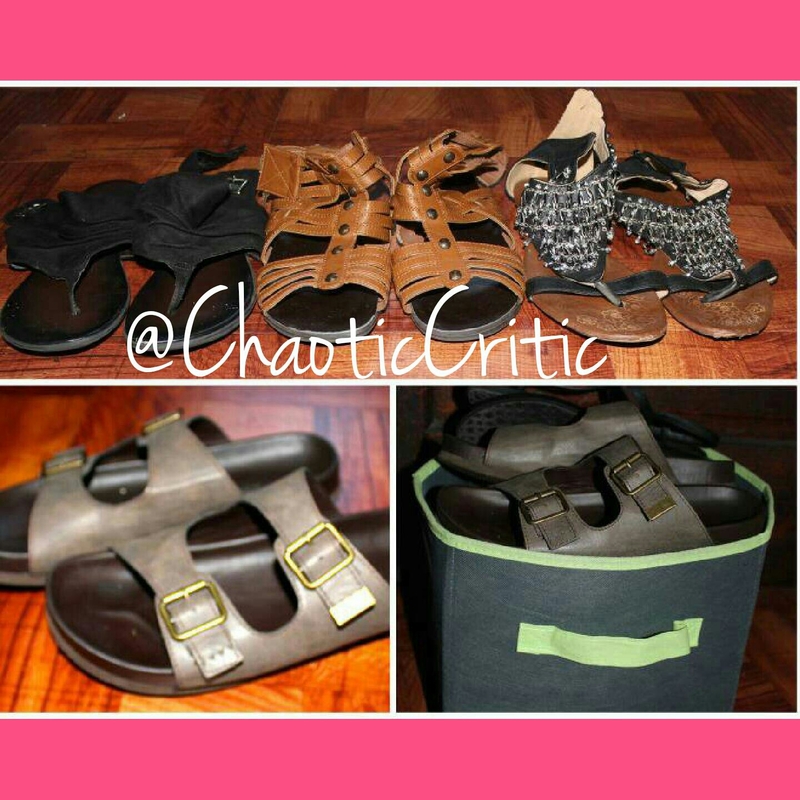 In this edition, as stated in the title, I wanted to showcase my sandal collection. Now the thing about sandals is that I wear the hell out of them in the Summer. I buy some that are on trend, but some I’ve had for years and other than the inside sole having wear and tear, the sandals are still in great condition. As for sandals I still want to purchase, I want a pair of gladiators that come to about the knee and a pair of cognac sandals. I never realized just how much I love the cognac color. As for how I store my sandals, being that I only bring them out in late Spring I store them in a bin. Nothing fancy. I do keep the sandals that I frequently wear on top and eventually they end up straggled around my room. When it comes to comfortability, I would say majority of them are comfortable. The one that irks me the most are the ones from Forever 21, which you can see below. the sole is not a soft bottom and makes a click clack sound similar to a heel. It’s also very slippery so I don’t wear them often. I had a black pair that I absolutely loved, but they ended up breaking, so I was lucky to find a similar style at Old Navy which I featured in a haul (click HERE for that). My favorite pairs would have to be the ones I purchased from Easy Pickins, Traffic, and the flip flops from Target. The ones from Easy Pickins have a tassel that’s still not trend and I purchased them 3 years ago. The ones from Traffic are so beautiful and I get compliments every time I wear them. The flip flops from Target have the most wear and tear on the inside sole, which is to be expected since I’ve worn them like no tomorrow. They were the best impulse buy and I purchased them about 3 or 4 years ago after watching an Akaydoll video. I typically don’t like to spend over $25 on a pair of sandals simply because there are so many variations and I don’t wear them year round like other shoes. The ones that I purchased from Traffic were the most expensive, nearly $40, but I expected that due to the design of them. Check out the pics below, be sure to check out my YouTube channel, LakiaBTV, and follow me on Intstagram @ChaoticCritic.